"We create you an individual pain relief and wellness recovery program"
We offer physiotherapy to Stafford and surrounding areas, our patients travel from across the globe to see Nicky and her team for welness and physiotherapy, including and an extensive range of additional treatments for sports injuries, health issues and dietry challenges. Nicky & her team need to understand your overall health, mindset, diet nutrition, fitness and lifestyle before we can correctly diagnose the root cause of your problem. This holistic approach enables us to make a tailor-made treatment plan to ensure we maximise the speed of your recovery. 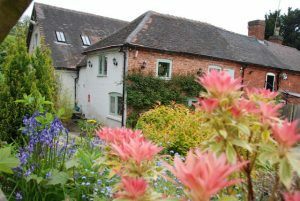 As an award-winning UK clinic, we offer a unique combination of skills and technology plus have specialist skills for the treatment of back pain and related problems such as sciatica. Very few clinics have our specialist technology….That's why our clients travel from all over the UK and internationally to see us. Nicky Snazell leads a robust team of amazing physiotherapists and sports injury therapists. Few other clinics around the UK can boast access to such fantastic facilities, so call us today and make an appointment to see one of the team. 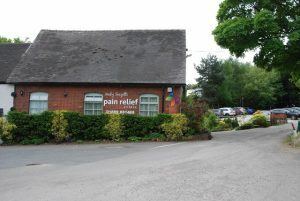 Our caring team form part of a specialist Pain Management Clinic, we can help you understand and treat your pain management. 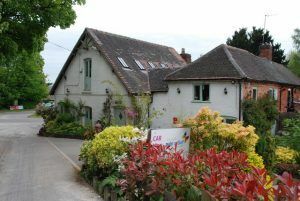 A fantastic clinic, thoroughly recommend! Best physiotherapy clinic I have ever been to. Would highly recommend all these guy's. Recommended by a friend due to a neck issue within 1 visit I had movement back. Now on 3rd visit and feeling more normal would defiantly book as soon as I get a niggle in future. My wife suffered a nasty back spasm and the physio was very considerate and thorough. He was very informative as well with information and advice to help aid with my wife's recovery. After 3 appointments with Dean I’m back to full mobility. Great practice with great staff. Thanks so much. A must for any aches and pains. Make you feel comfortable and diagnose your problems. You agree a plan and my care has been amazing. Aftercare and flow ups all helping me maintain my back. 100% recommended!! Amazing place. Another warm welcome as I entered the pain relief clinic today, I've just come to loosen up some tight muscles in the neck and shoulders. Great to be able to get a booking on the day I needed help for my back. Great service. Have used the clinic for three different problems. I lucky to have this so close to home. Nicky qualified as a chartered physiotherapist in 1991, managing in NHS hospitals until 1996, then managing at a private hospital until 2002, she then started her private practice. 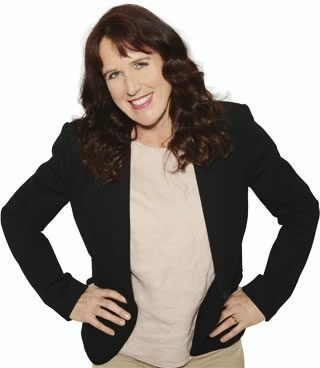 She has trained constantly since initial graduation and travelled extensively around the world to seek knowledge to introduce at her clinic. She is a regular contributor to magazines and teaches internationally. An author of no less than four books, all available on this website or directly from the clinic. Books can be signed and with a personalised message if requested. Nicky Snazell is also a regular on local Stafford radio station. Listen to Nicky on here Media Page. Nicky has written four books on health and this is her first children’s book. 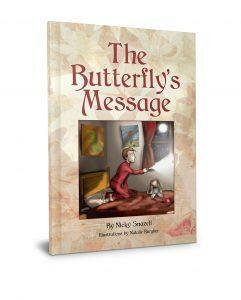 The Butterfly’s Message is a beautifully illustrated hardback book for 7 to 11-year-olds, with a meaningful message which could help them throughout their lives. We include great health tips, offers and information about the clinic. This book is a self help manual of preventative health. It has four chapters mind, food, fitness, and lifestyle, with questionnaires that scores you red, amber and green. Holding 4 green keys means you are in optimum health. This book is a result of 30 years study in biology, psychology, physiotherapy, and pain. It is my personal insight into health shared with my patients and audiences internationally. 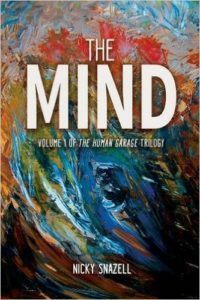 This volume is all about brain structure, about how the mind creates transient thoughts and how it actually controls and repairs your body. 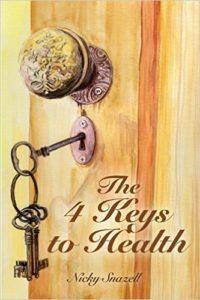 This, the first in the trilogy, contains six chapters, all featuring keys themes regarding your health. They have been broken down into easy to read subheadings, and you can use the comprehensive contents to locate specific topics – just run your finger down the contents page and select a subject that calls to you. 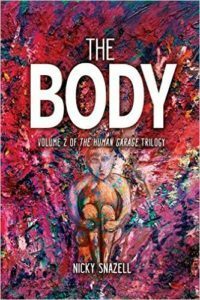 My Human Garage, volume 2, The Body, discusses all the hard work researchers put into creating the latest technology which combines and enhances the healing achievable through sacred and ancient hands on techniques. My book embraces a utopia of pioneering physiotherapy and technology. Within the covers of this book I have shared a lot of personal teachings about soul medicine, past life regression, and shamanic healing. 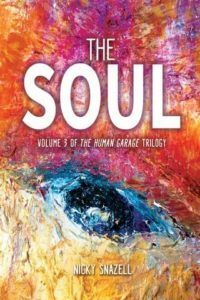 The idea of a soul is a deeply personal one and is still very much a mystery to us today. This volume is simply to get you to open up to the possibilities of a world we can create through thought, as well as a possible quantum eternity of soul energy. Once we have helped you with your immediate pain or injury problem we can partner you on your journey to a longer, healthier and happier life. We can even help prevent your problem from occurring in the future. 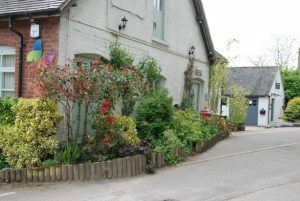 So if you are looking for Physiotherapists Stafford and surrounding areas, look no further than Nicky Snazells.